First of all, Rivian is an American auto manufacturer strongly focusing on sustainable transportation. The company also manufactures products and give services to sustainable transport solutions. 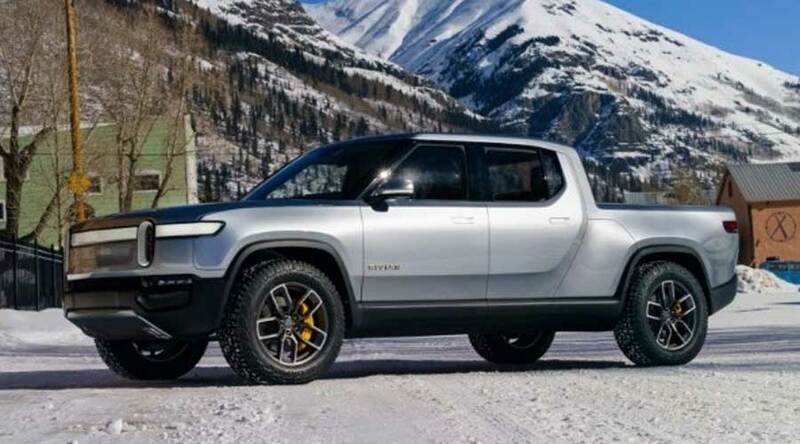 Rivian recently unveiled Rivian R1T a fully electric pickup truck. Furthermore, the Rivian R1T is the worlds first electric adventure vehicle. The R1T is built on a new skateboard platform. This platform can be modified for manufacturing new vehicles. The vehicle is autonomous and the company is focusing on giving Level 3 Autonomy. In addition, R1T will have on-road and off-road capabilities. The Rivian R1T looks really mighty and muscular. The bold lines signify its capabilities on any terrain. The striking lines make this truck more agile. Hence, the dramatic expressions of the design highlight its build quality. The interiors are welcoming and give a sense of outdoors almost everywhere. Furthermore, the premium materials inside are meant for daily rugged use. 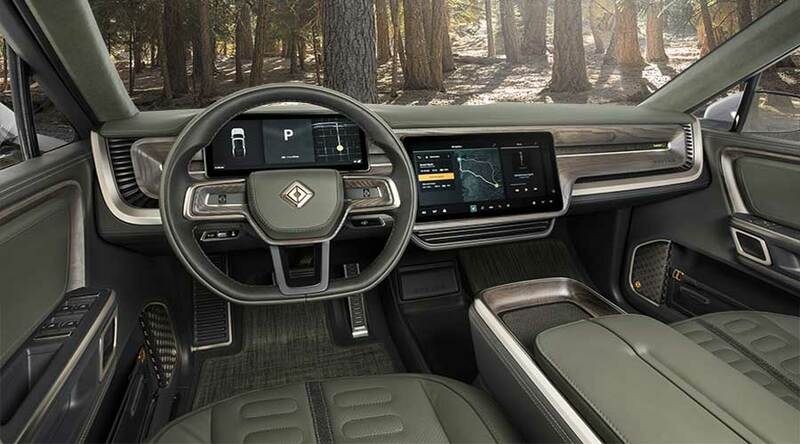 The digital dashboard gives all the information you want and keeps you connected. First of all, the R1T has a host of features. The Bed function can help you charge your vehicle, fill the compressed air and even you can lock up your valuables. The spare tire is conveniently placed beneath the bed for easy access during an emergency. The quad drive function helps you to conquer any terrain. Furthermore, the pickup truck has a separate gear tunnel where you can fit your gears easily. So, you don't need to worry about the oversized gears or equipment. The flexible cross-bar system can collapse and expand easily. Hence, it is very easy to mount any gear on bed or at the top or on the bed floor. The Rivian R1T is fully electric and draws all the power from independent motors on each wheel. So, it allows precise torque control and efficient torque vectoring. As a result, R1T is always at optimum performance irrespective of the terrain. The R1T can do corners at fast speed and crawl on the big rocks easily. The state of the art skateboard platform brings the real dynamism in vehicle's overall handling. The fully electric powertrain means smooth and quiet movement on any terrain. 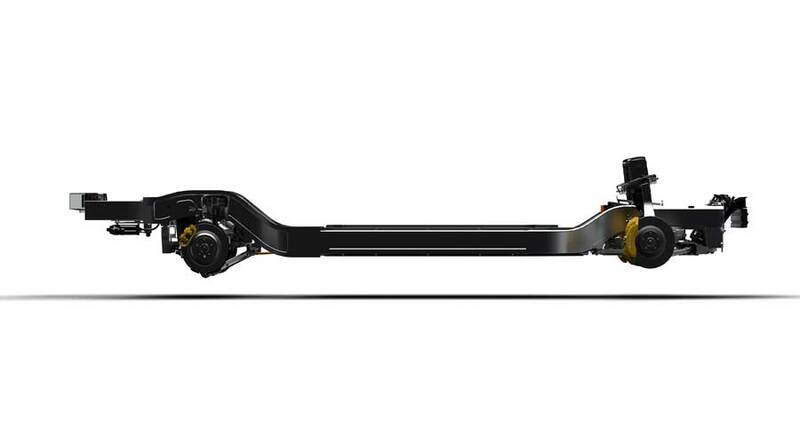 In addition, the air suspension gives more comfort and helps you to get over an obstacle smoothly. The dynamic roll control keeps you in control on and off-road. The battery pack of the R1T is the world's largest battery pack with 180kWh. The durable nature of the pack ensures long life and can sustain harsh terrains and temperatures. Consequently, the intelligent battery management system learns the driving behavior and adapts itself to optimize performance. Furthermore, Level 3 autonomy brings more safety and convenience when you are tired of driving. The radar, lidar, ultrasonic sensors, and cameras help the autonomous systems to remain vigilant and add to safety. In addition, the cloud-based infrastructure adapts to user behavior and brings more fun in your adventures. The performance, safety, and efficiency monitoring keeps you in control of your vehicle all the time. The R1T has a range of 400+ miles. It has a payload of 800kg. The four electric motors produce 750 hp of power with 14000 Nm of raw torque. Hence, it can accelerate 0-60 km/h in just 3 seconds. The towing capacity of Rivian R1T is 5000 kg. The Rivian also has 1 m water wading capacity. Ambassador: Does the road end for India’s true work-horse?